We spend a lot of time thinking about the word "community." 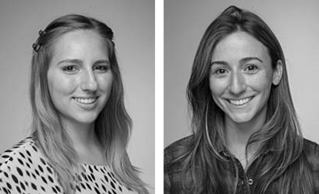 What does it means for us and our students at BASIS Independent Brooklyn? "Community" is a noun, but it acts like a verb; a community is ever-changing, growing, and shifting. Our school community at BASIS Independent Brooklyn, the community of Red Hook, and the larger New York City community are all in constant motion. This is the city that never sleeps, right? Helping our students understand community and the importance of joining, creating, belonging, respecting, and growing, is a pretty big idea to wrestle with. Good thing we've never been afraid of big ideas. Sharing her thoughts on community, BASIS Independent Brooklyn Head of School, Ms. Hadley Ruggles states, "students often ask about their relationship to the world around them. It is critical that a student feels the comfort that comes with a community and a sense of belonging, while also recognizing what makes us a collective whole and what defines us as individuals. We foster this sense of inquiry by immersing students in their community." 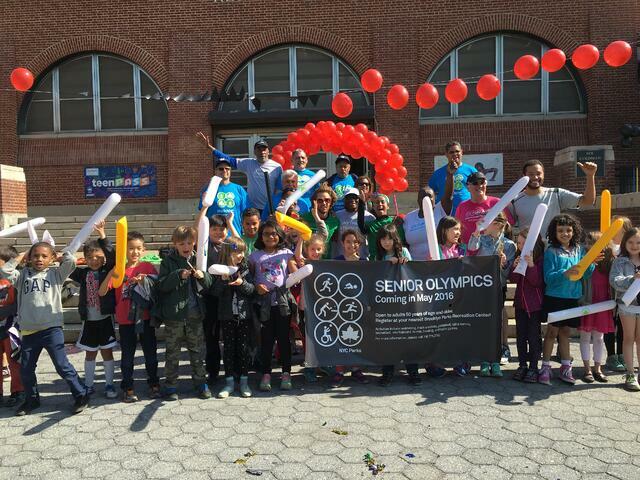 On Monday, May 9, we jumped at the opportunity to connect students with neighboring Red Hook Seniors by attending the Torch Relay at the Red Hook Recreation Center and showing their support for the Brooklyn Senior Games. 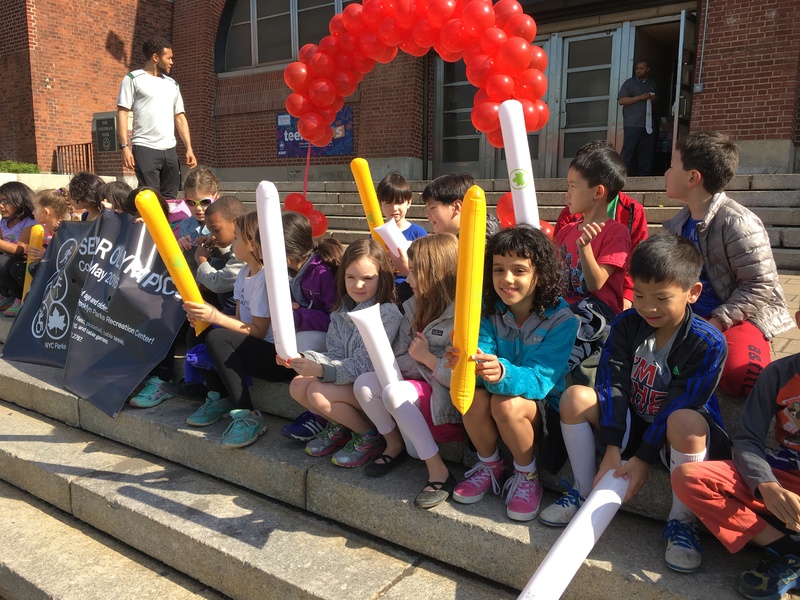 Second Grade Learning Expert Teacher (LET) Ms. Erika Brinzac (pictured, left) and LET Ms. Leah Steiner (pictured, right) brought students to cheer on the seniors to help them kick off their games. 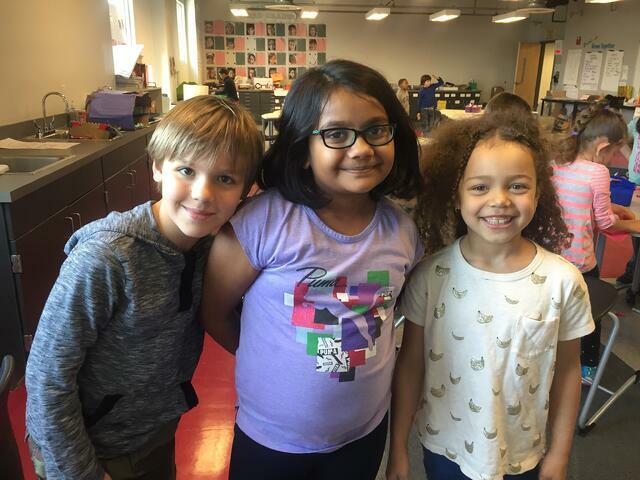 Explaining the connection to our curriculum, Ms. Brinzac shared, "Second grade is finishing up a service learning project in Connections. During this project, students have thought about problems in their community and have taken it upon themselves to do what they can to find solutions to these problems. Many of them have been raising awareness about various issues and contacting local organizations involved in everything from forest conservation to feeding the hungry. The students have been completing these projects through the lens of 'community.' So often we focus on building a classroom or school community that we forget about the larger community outside of the school." The significance of the event was that it demonstrated a great way to work with a local organization to support senior members of the Red Hook Community. BASIS Independent is still the new kid on the block. Ms. Brinzac adds, "By showing the community that we care and are interested in getting more involved, we are working towards earning our stripes." Unsurprisingly, some of our student supporters were eager to share their feedback on the second grade's participation in the celebration. Jann T. enthusiastically shared, "The race was super duper fun and we got to keep the balloons. It was really awesome and it was so fun to cheer. I also think it was fun that a lot of my teachers came. In Connections, we're learning about helping the community. We were taking a topic and coming up with ways to try to join an organization. My group is working on stray animals. This is related to what we are learning because we are cheering for our community." Sanvi S. shared that beyond learning about supporting community, she learned an unexpected lesson. "I thought it might not be fun but it was so fun. I learned that I shouldn't say something before I see it." "Also," she added, "the seniors were really nice!" As we continue to settle into our new home in Red Hook, we embrace the verb that is "community" and look forward to more ways that we can join, create, respect, and grow, both as individuals and as a school. We’d love to hear from you, particularly from our local families already very involved in Red Hook organizations and programming. Let’s brainstorm other ways to get involved in the local community.